Little, Brown Books for Young Readers, 9780316125956, 304pp. From bestselling author Grace Lin comes the companion to the Newbery Honor winner Where the Mountain Meets the Moon and the National Book Award finalist When the Sea Turned to Silver. 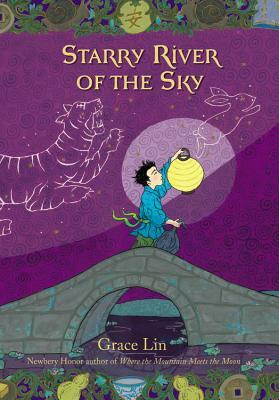 The moon is missing from the remote Village of Clear Sky, but only a young boy named Rendi seems to notice! Rendi has run away from home and is now working as a chore boy at the village inn. He can't help but notice the village's peculiar inhabitants and their problems. * "The lively mixture of adventure, mystery, and fantasy, supported by compelling character development and spellbinding language, will captivate a wide swath of readers."